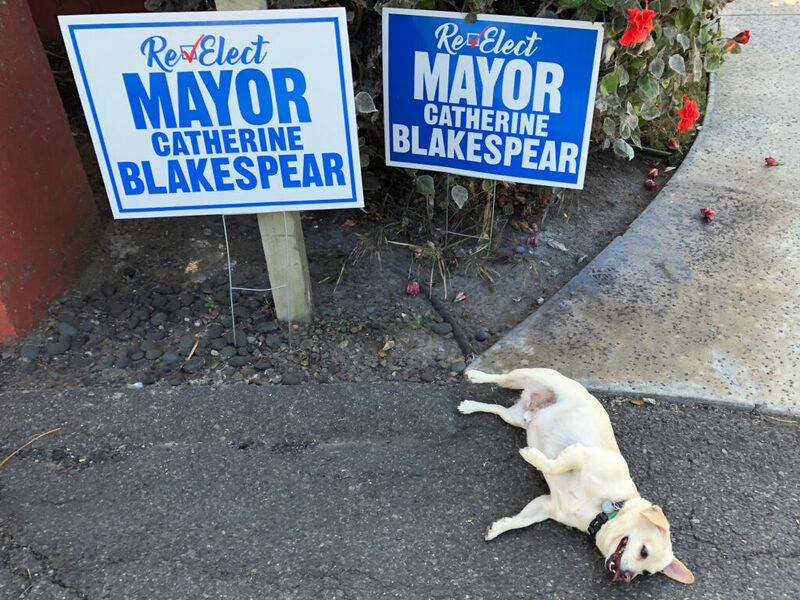 9/2/18: Get Your Free Yard Sign, plus More Encinitas News! This is an exciting time in my campaign to be re-elected as your mayor because, believe it or not, voting starts in about a month! And our new yard signs are in! Displaying one is a great way to show public support, not just for my candidacy, but for all we stand for and aspire to in Encinitas. When my campaign manager Scott Chatfield’s dog Bennett got a look at these new signs, he was knocked out! Please click here to order your free yard sign or volunteer to help with our campaign. You can also respond to this email with your address and we’ll be happy to drop one off. I was also honored once again to receive the endorsement of the Sierra Club to be re-elected as mayor of Encinitas. 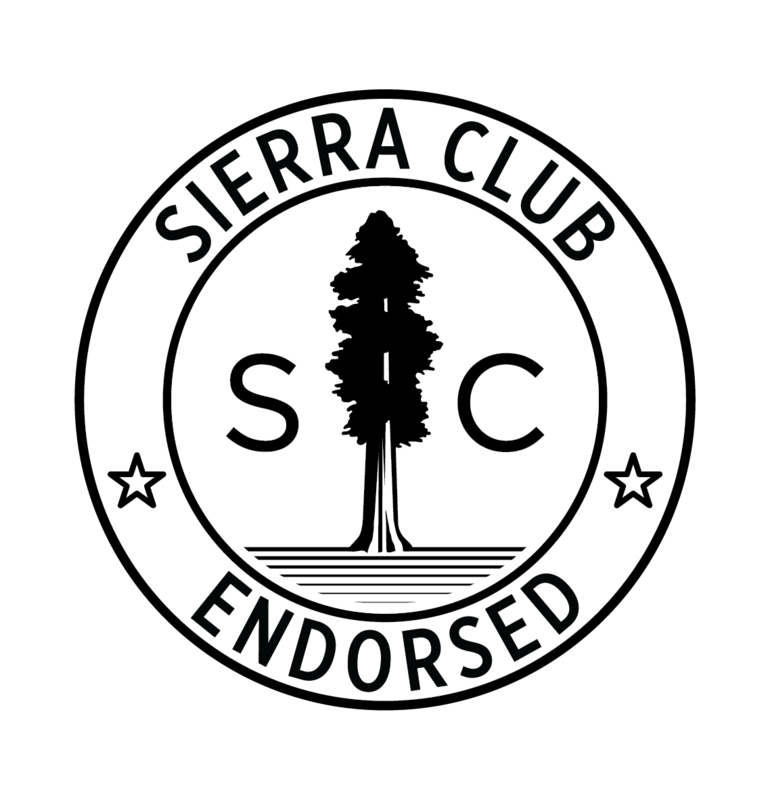 The Sierra Club is a force for good in California, and I’m grateful to be recognized as an ally in their successful efforts to protect our natural resources. 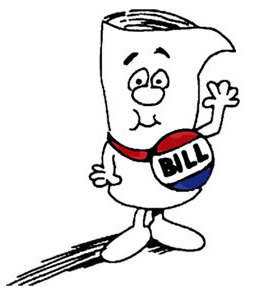 Our first state-level bill in at least 20 years passed out of the Assembly last Friday, the last day of the session, without a single opposition vote! I recently traveled to Sacramento to advocate for the bill, and it’s now been sent to the governor for his signature. 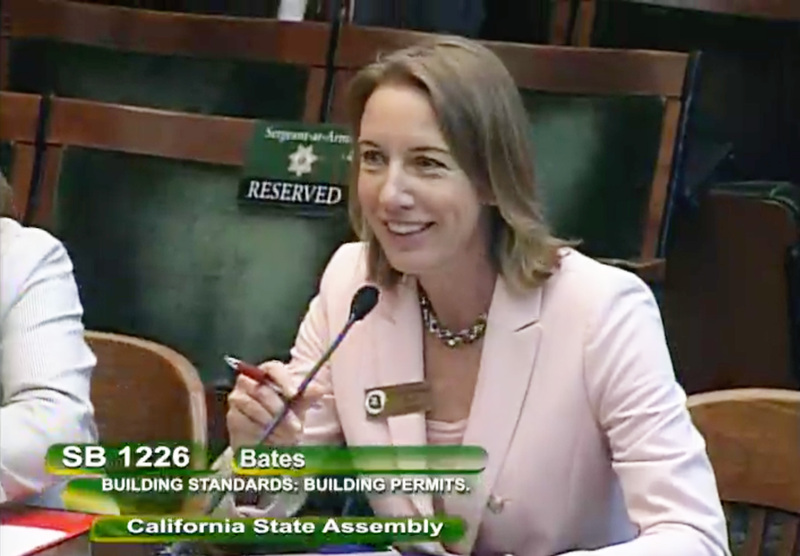 The bill, authored by Senator Pat Bates, clarifies that a homeowner trying to permit an accessory unit can use the code that was in effect in the year the home was constructed in order to get into compliance. This is one more tool in the toolbox for property owners to permit their units. But no champagne toasts just yet – it won’t become law unless Governor Brown signs it. Here’s hoping! In granny flat news – the code amendments the city made earlier this year which should make it easier to build them are scheduled for this month’s Coastal Commission hearing. If all goes well, we’ll introduce our pre-approved program and some property owners should find it easier to get these much-needed units built. More details can be found in this North Coast Current article. Friday, Sept. 7: The Climate Action Campaign’s Third Annual Community Choice forum. For more information or to get tickets, click here. I’m honored to be a member of the first panel at the UCSD event, entitled Community Choice in the Region of San Diego, which runs from 9:15 a.m. to 10 a.m.
Sunday, Sept. 9, 3 p.m.: Meet and Greet for Encinitas City Council candidate Jody Hubbard (District 3). To attend please email me at catherine@blakespear4encinitas.com and I’ll share the details. It’s free and casual, and a great chance to understand your election choices in Cardiff and District 3. Tuesday, Sept. 11, 6 p.m.: Encinitas Mayoral Forum. This is your only opportunity to hear exclusively from the two candidates running for mayor of Encinitas, John Paul Elliott and yours truly. It’s at Ada Harris Elementary School in Cardiff, and admission is free. Thursday, Sept. 13, 6 p.m.: Measure U Forum, Encinitas Library. Measure U is the housing plan update on the ballot for Encinitas voters. One speaker will speak in favor of it and another against it. The City Council supports passage of this housing plan to provide more affordable housing, get compliant with state law and end our housing lawsuits. Sunday, Sept. 16, 3 p.m.: Second and final Measure U Forum. Encinitas Library. Same format as above – one speaker in favor of the housing plan and one opposed. Sunday, Sept. 23, 12:30 p.m.: Meet and Greet for Assembly candidate Tasha Boerner Horvath and me at the home of Carol Wolf. Email seawolfbeach@gmail.com for address and details. Tuesday, Sept. 25, 6 p.m.: District 3 City Council Candidate Forum. The only public opportunity to hear exclusively from the two District 3 city council candidates, incumbent Mark Muir and challenger Jody Hubbard. Sunday, Sept. 30, 10 a.m. to 6 p.m.: Octoberfest on Mountain Vista Drive in New Encinitas. Most candidates for office have booths here and participate in the parade. It’s a great chance to talk with multiple candidates all in one spot. Plus, it’s a family-oriented blast! I hope to meet you there in the midst of the festivities at Booth M23. Wed., Oct. 3, 7 p.m.: Olivenhain Candidate Forum at the Olivenhain Meeting Hall. This forum involves the two District 4 candidates, incumbent Joe Mosca and challenger Tony Brandenburg, and the two mayoral candidates. Sat., Oct. 6, 2 p.m.: Meet and Greet for Encinitas Council candidate Jody Hubbard and me at the home of Niels Lund. Email Niels at nlund@pacbbell.net for address and details. Sat., Oct 27, 3 p.m.: Meet and Greet for City Council candidate Joe Mosca and me at the home of Sally Foster. Email sfoster@miracosta.edu for address and details. Tuesday, Nov. 6: Election day! 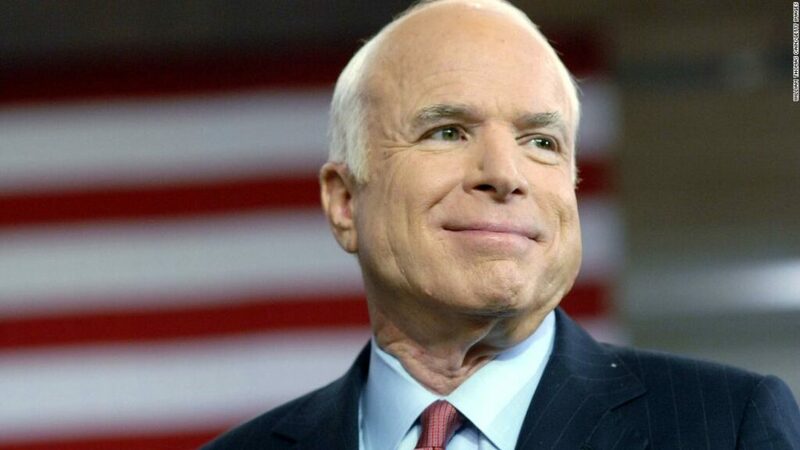 This week I was moved by the tributes to and the words directly from our late Senator John McCain. It always strikes me how similar our discourse and political rifts are now compared to our country’s founding 250 years ago. Foundations simply don’t move. The same themes in America repeat themselves – for good and ill. Enjoy your long Labor Day weekend! If you are personally laboring and not able to take the day off, thank you! Let’s not forget to celebrate the American worker, the reason we have this holiday! P.S. If you support my re-election as your mayor, I would very grateful your contribution of any amount from $1 to $250 to help keep Encinitas on the right track. Please click here to contribute!